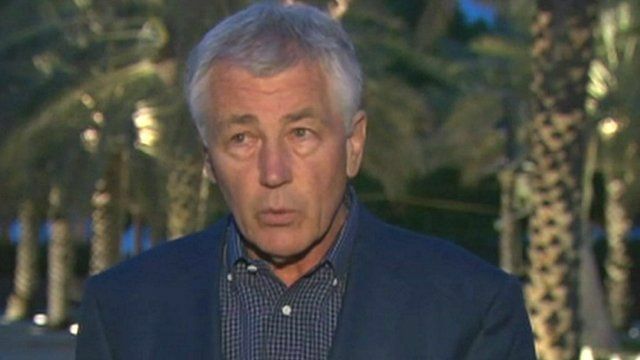 Syria suspected of chemical attack Jump to media player US Defence Secretary Chuck Hagel has said American intelligence believes "to some degree of varying confidence" that Syria has used chemical weapons. 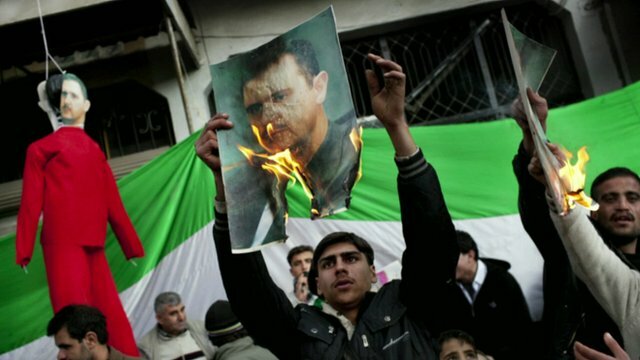 Syria government makes jihadist claim Jump to media player Syria's deputy foreign minister has repeated the country's claim that the West is involved in an alliance with jihadists of al-Qaeda in the fight against President Assad's regime. 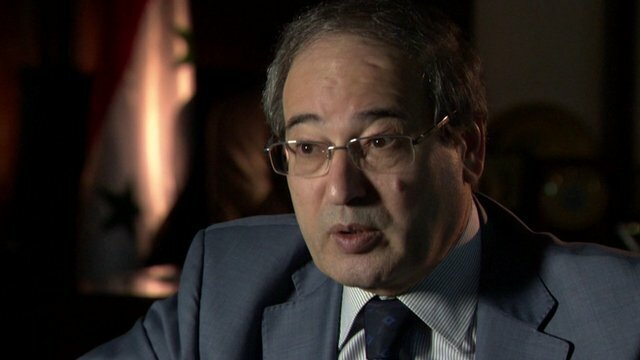 Syria minister: 'We are winning the war' Jump to media player Syria's deputy foreign minister has repeated the country's claim that the west is involved in an unholy alliance with jihadists of Al Qaeda in the fight against President Assad's regime. 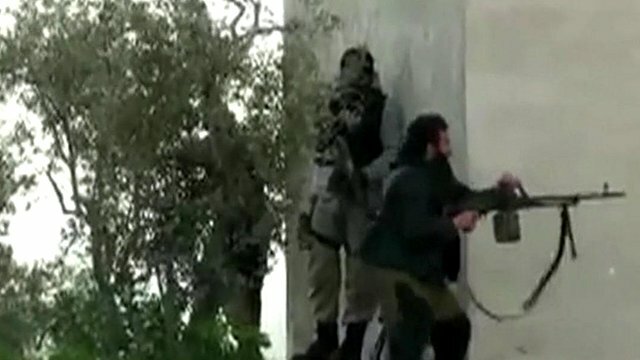 'Many Europeans' fighting in Syria Jump to media player The EU's anti-terror chief has told the BBC that hundreds of are now fighting alongside rebel forces in Syria. 'Syria kidnappers cut off my finger' Jump to media player As Syria's war-torn towns and cities descend into increasing lawlessness, civilians caught between the warring sides can now add kidnap to their growing list of concerns. Veil of normality in Damascus Jump to media player In parts of Damascus, life appears almost normal, but it is a different story towards the edges of the city, as the BBC's Jeremy Bowen reports. 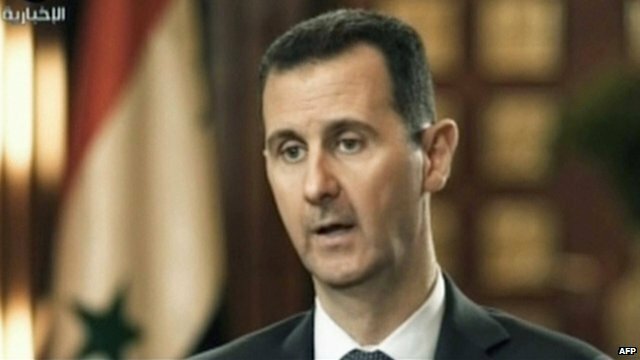 Assad warns West not to 'interfere' Jump to media player Syrian President Bashar al-Assad says the West will pay a high price for what he describes as its support for al-Qaeda in his country's conflict. US Defence Secretary Chuck Hagel has said American intelligence believes "to some degree of varying confidence" that Syria has used chemical weapons. Speaking on a visit to the United Arab Emirates, he said it was suspected that sarin gas had been used against rebels.